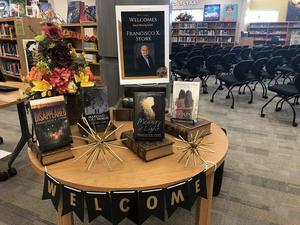 Author, Francisco X. Stork, visited our library last Thursday, October 11th. The award-winning author shared many personal, powerful anecdotes that resonated with our students. He also shared his creative process, character development and his experience in the world of publishing. For more details, click on the link above. 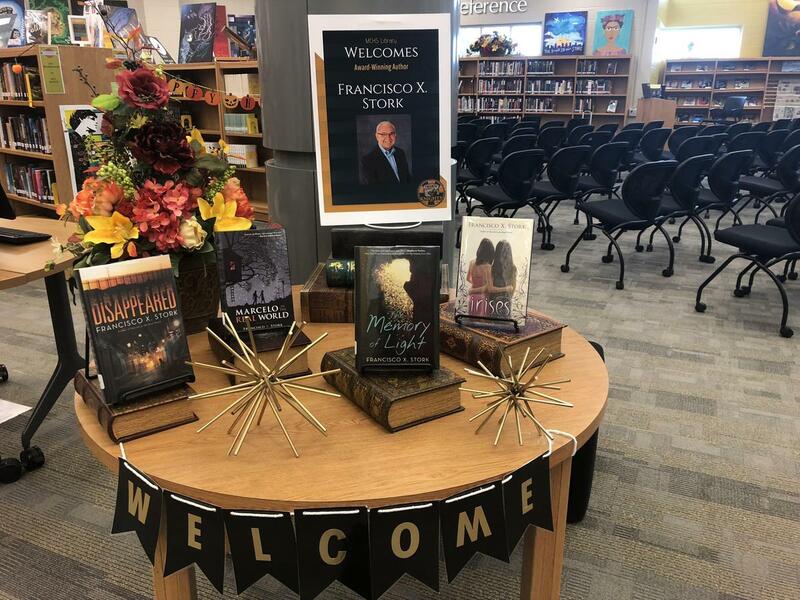 It was an honor to host award-winning author, Francisco X. Stork. He shared personal anecdotes that were powerful and resonated with many of our students. He came from humble beginnings and worked his way to the top by graduating from Harvard and Columbia Law School. He practiced law for 33 years before retiring, but his passion was always writing fiction. He shared with our students how not becoming a writer immediately after college, is not something he regrets because all his experiences have helped him write his fiction today. He inspired them to never assume it’s too late in life to pursue something you’ve always been passionate about. “Meeting him was one of my highlights not only for the school year, but my entire high school experience. He is one of my favorite authors and the fact that he was so real about sharing how he first became an attorney to make a living and provide for his family then became an author much later in life, made me respect him even more so.“ –Jude Rodriguez, 12th grader. “I found him to be very insightful…specifically, when he shared how he would create and develop a character. All the people he came across in his life truly did inspire so many of his characters and their attributes.” –Carina Martinez, 12th grader.